Browsing through the Broadway Antique Market this fall, I came across a thick book with a green cover. 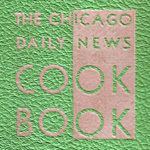 Embossed on the cover, it said, "The Chicago Daily News Cook Book" in gray art deco-ish letters. 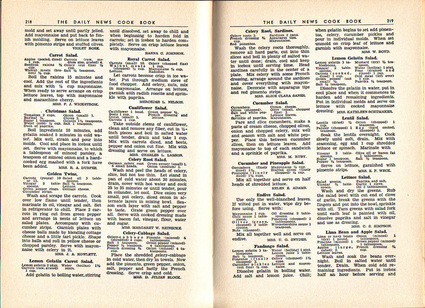 The 363-page (including index) book cost $1.00 when it was published in 1930. It was marked $8 in pencil on the endpaper. I knew I had to have it. 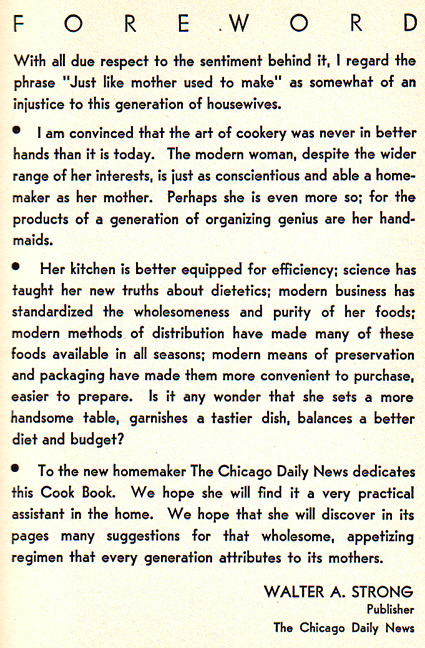 Edited by Edith G Shuck, home economics expert for the Daily News, and Dr. Herman N. Bundesen, Cook County coroner and health editor for the Daily News, the book claims to be "a practical guide on hot to balance a diet, meet a budget and prepare a tasty meal for the average urban family." "This is a Cook Book by the people and for the people. Its sources have been the unpublished cooking lore of thousands of homes. 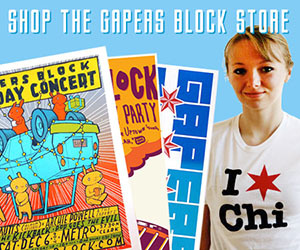 "The recipes herein contained are the cream of more than 20,000 submitted to the Chicago Daily News in a recent contest. 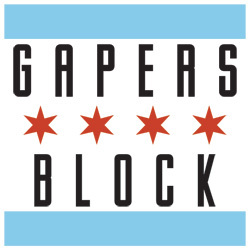 Kitchen tested and laboratory approved, they bear the stamp of scientific and practical authority." 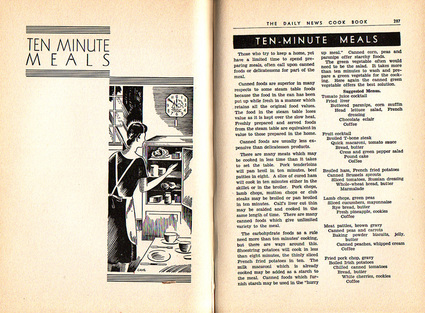 The book is elegantly illustrated with fine art deco illustrations at the beginning of each chapter, and then two columns of information or recipes. 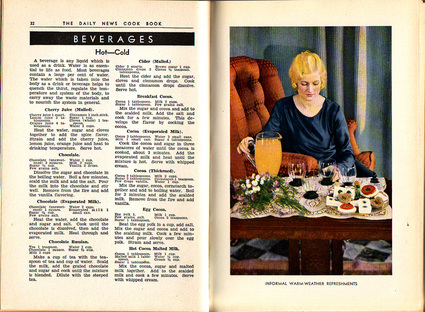 Interspersed are color plates featuring illustrations or nice still-lifes. 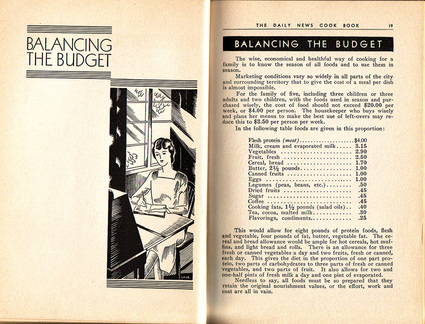 The book leads off with a summary of the basics of cooking — necessary equipment, definitions, cooking methods — and moves on to a brief on balancing the budget. 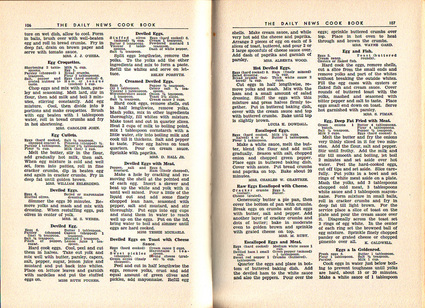 By page 23 we're into recipes, which don't let up until page 280, after which an assortment of ancillary chapters fills the rest of the space with info on shopping, sample menus, dietary information and a substantial index. The recipes themselves are quite simple, and rarely go more than 50 words. I'm not sure if that's because it was the style back then not to go into detail, or if it's because the editors were summarizing for space. With an average of eight recipes per page, it could be either. 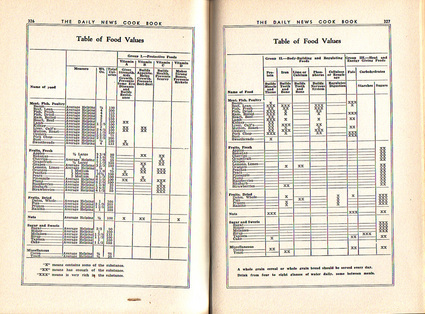 That said, one of the things I found most interesting about the cookbook is how many repetitive recipes it contains. Rather than picking just one recipe for deviled eggs, for instance, there's seven, each slightly different. Each recipe credits its author, so the brevity of the directions probably speaks to a need to fit as many dishes as possible into the book. Below is one of my favorite recipes from the cookbook. It's reproduced here exactly as it appears, inconsistent punctuation and all. Pepper 1 teaspoon. Flour 2 tablesppons. Wipe meat with damp cloth, rub surface with salt, pepper and flour. Put in hot oven and sear, reduce heat to 350 and bake 1½ hours. Remove from oven and sprinkle with ¼ cup sugar. Place pineapple dotted with cloves and parboiled potatoes around roast, sprinkle with remaining sugar, return to oven to bake until pineapple is brown, basting frequently. 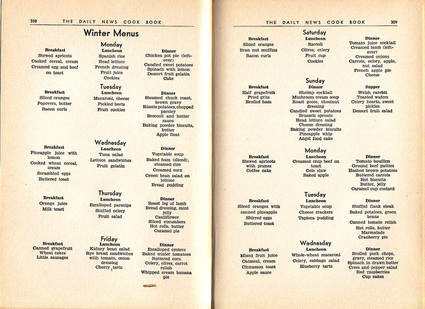 I can't vouch for this recipe's similarity to real possum, having never eaten a possum, but it sounds good anyway. Mr. May must have enjoyed it. And so easy! Funny how one of the editors is the county coroner (who doubles as the health editor of the newspaper!). I have a copy of this book, but the cover is red and there are no color pictures in it. It's c.1930 also. I wonder why mine is different? i have the green book with pictures, how much is it worth does anyone know whats its worth? Ok I will try it again. I have a dark blue version. Pages are b/w no color. Saw a light blue version for sale for $29.00 all are 1930. Too valuable as history to sell.